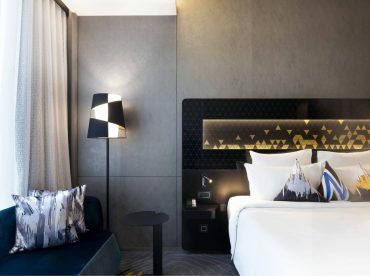 Your spacious Novotel Superior room is a quiet haven for relaxation after a successful day’s work in bustling Singapore or a full day of fun-filled events in the city. Large windows let in plenty of natural light, while earthy tones with splashes of colour create a calming feel. The 23m2 (247 sq ft) of space give you all the room you need to feel right at home. Free, fast Wi-Fi gives you the smooth connectivity you need, and an ergonomic work area lets you get the job done. When it’s time to unwind, catch up with your favourite shows on the large smart TV. Don’t feel like eating out? Delicious room service meals are just a call away around the clock at Novotel. Complimentary parking is also available for all in-house guests.